An assignment for my students will be to create an eBook from a Shakespeare play. I thought I should go through some options of how a play could be marked-up with HTML5 and styled with CSS. The texts of all of Shakespeare's plays are in the public domain and available from the Project Gutenberg web site as well as some other locations. The quality of these texts is variable. I have tried various ways to use appropriate HTML, and it was not my intention to reproduce anything like the the First Folio that you see here, but rather make it clear which character is speaking which lines. 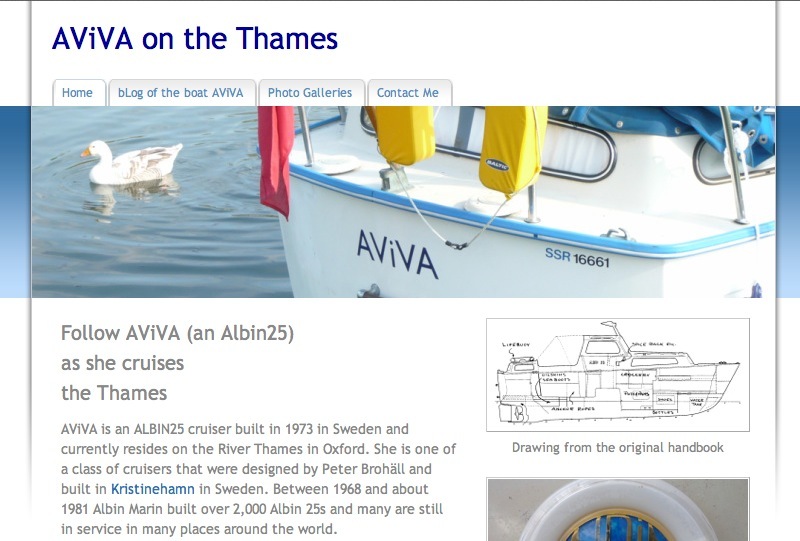 I spent the afternoon changing my boat iWeb site to this site on Weebly. I can't promise that the old iWeb will stay for much longer, but I did get all of the data out and then used all of the features of weebly to re-build. 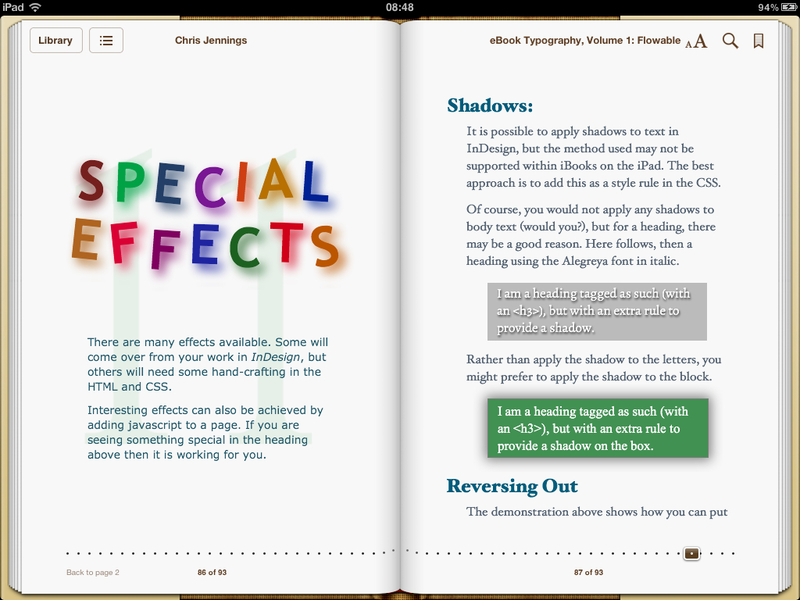 The chapter heading page is using jquery and lettering from Paravel. 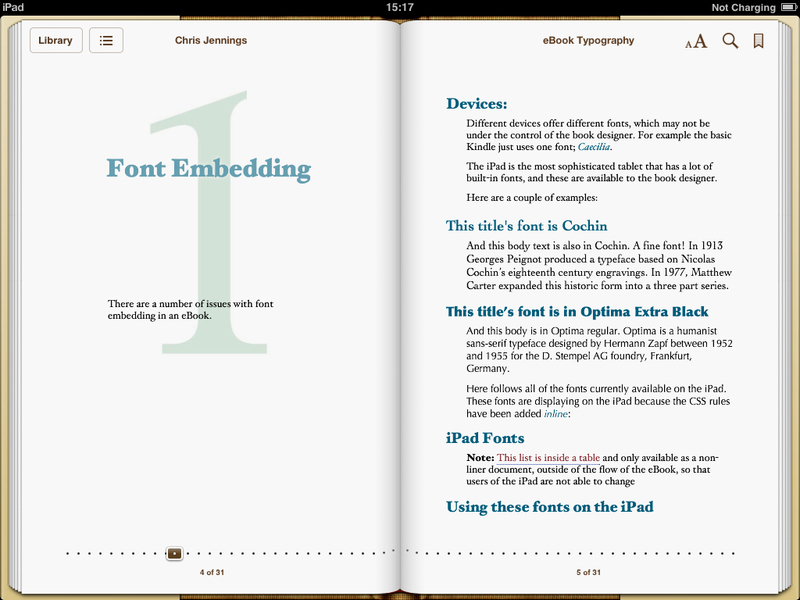 Been very busy getting 11 chapters for eBook Typography. Now decided to make this subtitled For Flowable, since there is such a great difference between flowable and fixed-layout. The book started out as a sandbox to try out various techniques, but I have now decided to publish. 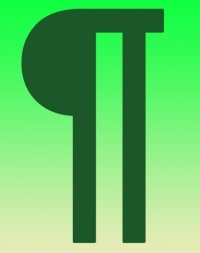 Target publication date: September August 2012. 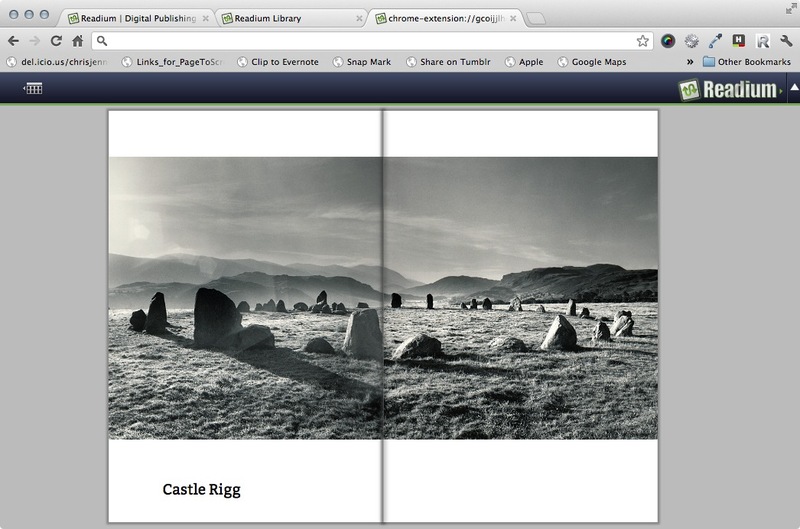 Readium is a browser extension for the Chrome browser that will display ePUB files. 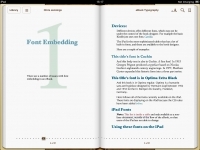 Will it display fixed-layout books created for the Apple iPad? 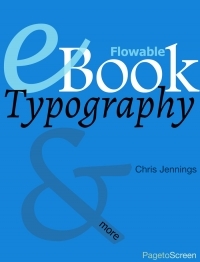 eBook Typography. I’m working on it. 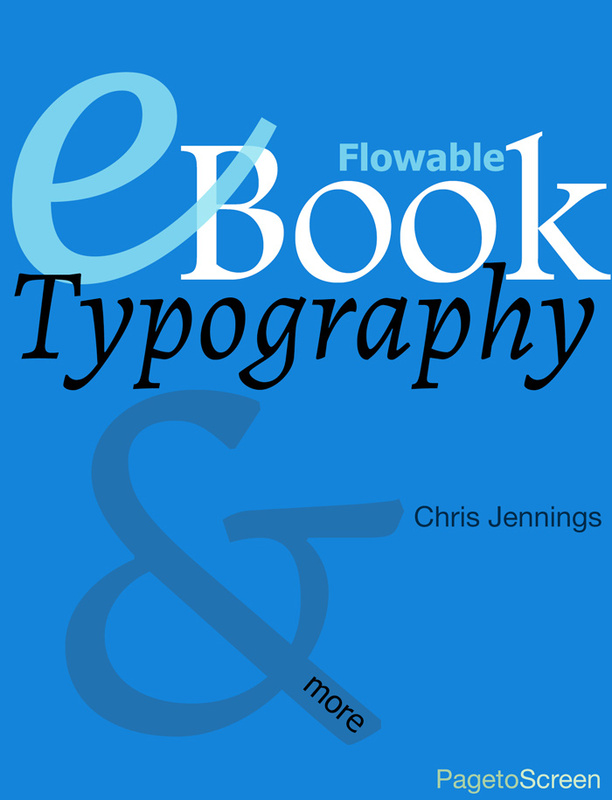 I am working on an eBook: eBook Typography. I don't know when it will be finished. It is what you might call a sandbox of experiments to see what features are supported on what platforms. Updated cover. Seems like the presentation I gave at the London Book Fair was very popular! Well, the turn out was very good, with people unable to get in for lack of seats. So, here then I post up my presentation slides in PDF), in case anyone missed it. This talk was given as one of the seminars organised by the Publishing Training Centre, where I run the Creating eBooks 2-day course. And here is the vidcast of the same. 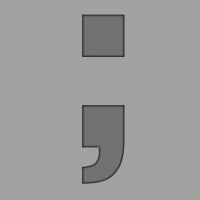 So you think your CSS looks alright then? But it doesn't seem to do what I expect - what has happened to the margin on that div? 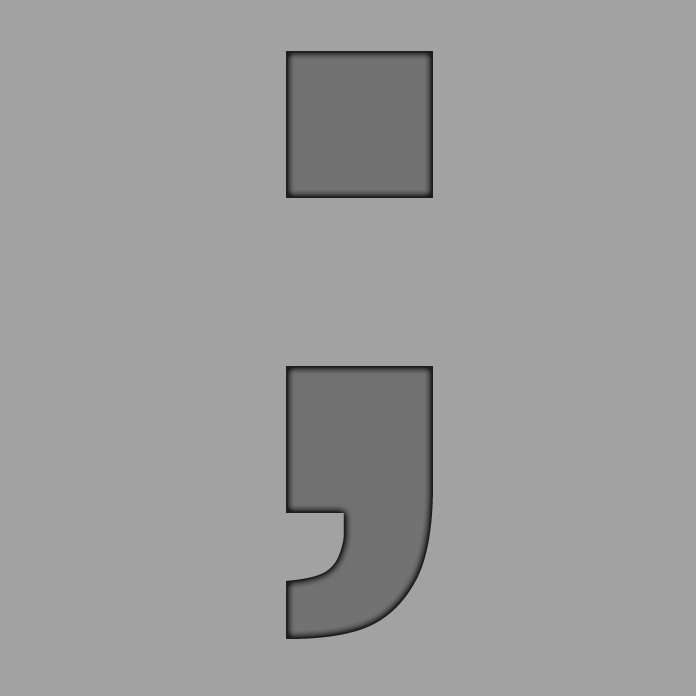 Look carefully; maybe you have missed out a semi-colon! In every program that supports it; display hidden characters. 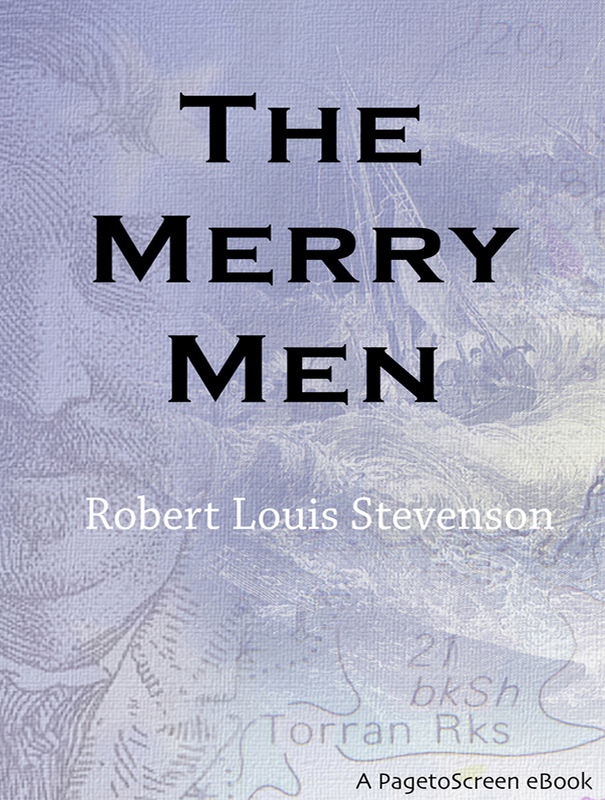 Robert Louis Stevenson completed ‘The Merry Men’ when he lived in Bournemouth, England between 1884 and 1887. It was first published in 1887 with other short stories as ‘The Merry Men and Other Tales’. First published in the IDLER, August 1894 and then later in a collection of essays titled ‘The Art of Writing’. 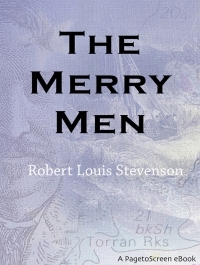 He started the first draft of “The Merry Men’ when he stayed in Scotland during the summer of 1881 and in his essay about the writing of ‘Treasure Island’ he mentions this fact. The story takes place on the fictional Eilean Aros which Stevenson based on Eilean Earraid, a small islet near to the Ross of Mull and Iona. ‘The Merry Men’ are, in fact, the dangerous reefs known as the Torran Rocks.